After knowing your retirement number, your aspiration is to achieve your savings targets so as to ensure your carefree retirement. It's time to work out a well-rounded financial plan. The earlier you start retirement planning, the more relax you can be! Assumed you would retire at age 60 and, according to the statistics, the life expectancy for men is 81# years old. We understand your needs and specially provide you with different selected retirement funding plans, leading you and your loved ones to a delightful life. Click the links below to learn more about our products. 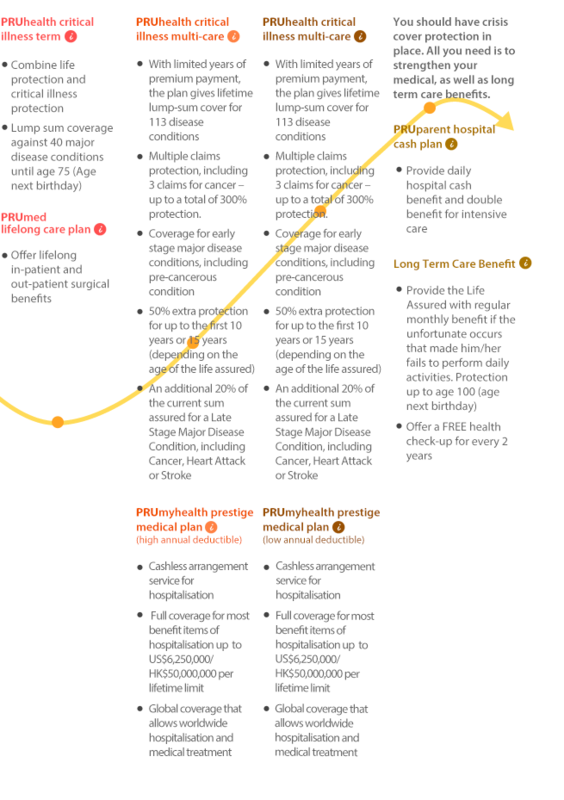 Want to learn more about these insurance plans and take actions to pave the way for your retirement? Make an appointment with a consultant NOW! 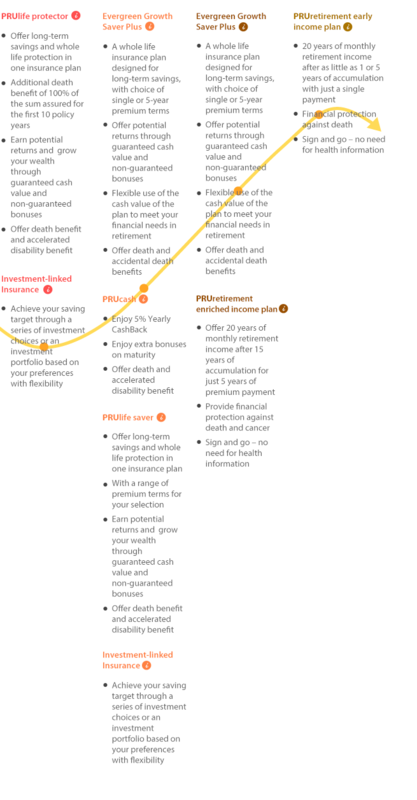 Elite professional financial consultants chose by Prudential are happy to help with your retirement planning with you. The above plans and customer promotions are subject to terms and conditions. Disclaimer: The information above is for reference purpose only and should not be considered as an offer or solicitation for any of the products or investments mentioned herein. Prudential reserves the right to make changes and corrections to its opinions expressed above at any time, without any prior notice. You are advised to seek independent advice from appropriate professionals (such as doctors, nutritionists, financial consultants or lawyers, etc) before making any decision on the topic(s) mentioned in this article. Prudential expressly disclaims all liability for the use or interpretation by others of information contained in this article. Whether to apply for insurance coverage is your own individual decision. This document should be read in conjunction with the relevant product brochure. For full terms and conditions, and risk disclosures of the relevant insurance plan, please refer to relevant product brochure and policy document and read carefully. # Source: Census and Statistics Department, HKSAR. In 2016, the expectancy of life at birth for men and women was 81 years and 87 years respectively. ^ The abovementioned monthly saving for retirement is calculated by Prudential Hong Kong Limited ("Prudential") "What is Your Retirement Number?" Calculator and is for reference only. The amount of monthly saving is calculated based on the assumtions that the expected retirement age is 60 years old; number of years for retirement spending is 20 years; 2-person household; own a property; expected HK$11,000 for monthly spending after retirement; current MPF balance is HK$150,000; monthly MPF contribution is HK$2,000; expected rate of return for MPF is 6% per year; current saving balance is HK$0; expected rate of return for investment is 8% per year.. The above information and analysis should not be considered as professional opinion or suggestion, and do not contain any intention or inducement to form a contract. Therefore, no investment decision should be made upon the information or analysis provided herein. Should you have any query regarding the management of your investment, please contact your financial consultant for assistance. Investment involves risk. Please read corresponding investment information carefully before making any investment decision. Prudential shall not be responsible for the accuracy of the projections (calculated by the retirement calculator) which may be based on assumptions.